Jessamy’s life is a balance between acting like an upper-class Patron and dreaming of the freedom of the Commoners. But away from her family she can be whoever she wants when she sneaks out to train for The Fives, an intricate, multilevel athletic competition that offers a chance for glory to the kingdom’s best contenders. Then Jes meets Kalliarkos, and an unlikely friendship between two Fives competitors—one of mixed race and the other a Patron boy—causes heads to turn. 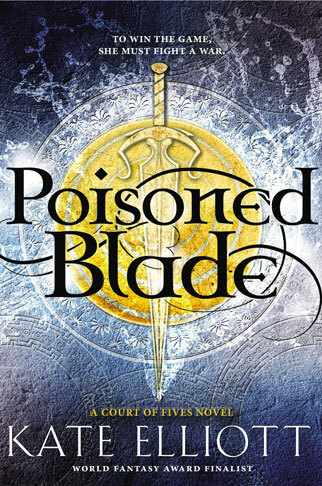 When Kal’s powerful, scheming uncle tears Jes’s family apart, she’ll have to test her new friend’s loyalty and risk the vengeance of a royal clan to save her mother and sisters from certain death. Jessamy is moving up the ranks of the Fives–the complex athletic contest favored by the lowliest Commoners and the loftiest Patrons in her embattled kingdom. Pitted against far more formidable adversaries, success is Jes’s only option, as her prize money is essential to keeping her hidden family alive. She leaps at the change to tour the countryside and face more competitors, but then a fatal attack on her traveling party puts Jes at the center of the war that Lord Kalliarkos—the prince she still loves—is fighting against their country’s enemies. 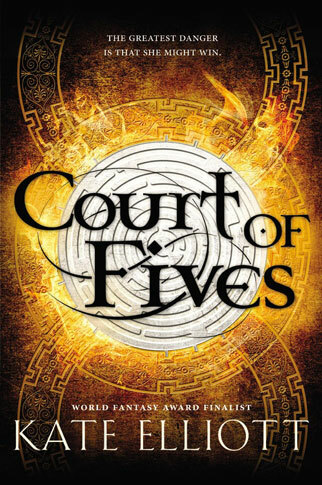 With a sinister overlord watching her every move and Kal’s life on the line, Jes must now become more than a Fives champion….She must become a warrior. On the run from the murderous King Nikonos, Jessamy must find a way for her beloved Kalliarkos to take his rightful place on the throne. Only then can he end the oppression of the Commoners by their long time Patron overlords. But Kal’s rise to power is fraught with manipulation and shocking decisions that make Jes question everything they promised each other. As their relationship frays and Jes’s family and friends beg her for help, will she cast Kal and her Patron heritage aside? Will she finally join—even lead—the rebellion that had been burning among the Commoners for years? Kiya is a Commoner who has just arrived in the bustling city of Saryenia. Esladas is a member of the Patron ruling class and determined to prove himself in the army. His plans are disrupted by the outgoing and beautiful girl who sells him fruit in the market, though, despite the fact that neither of them speaks a word of the others language. 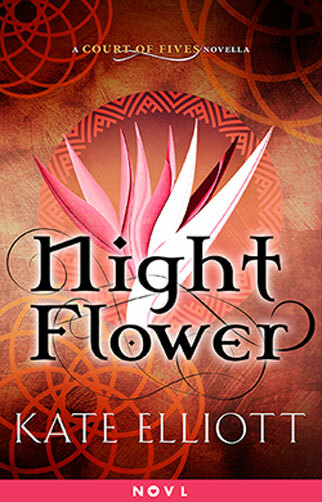 Brief conversations and stolen moments together soon become something more, but when their divided cultures clash, Kiya and Esladas must decide if their blossoming love is worth becoming outsiders for the rest of their lives. Read the beginning of their legendary love story in this Court of Fives companion novella! 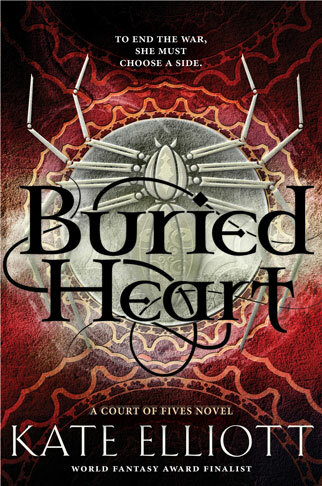 Kate Elliott is the author of more than twenty-five novels, including her New York Times bestselling young adult debut Court of Fives, Poisoned Blade, Buried Heart, and Black Wolves. She has also written the Spiritwalker trilogy, the Novels of the Jaran, and the Crossroads trilogy, among others, and two of her books have been finalists for the Nebula Award and the World Fantasy Award. Kate was born in Iowa, raised in Oregon, and now lives in Hawaii. She invites you to visit her website at kateelliott.com or follow her on Twitter @KateElliottSFF.